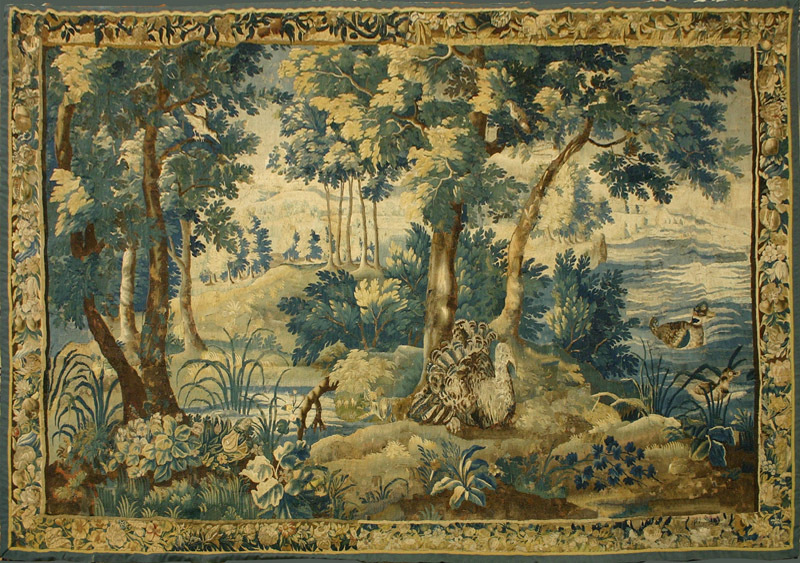 16th century European tapestry. The individual threads of different colors create a picture only when their combined pattern is viewed in such a way that an image greater than the sum of their separate parts can emerge in the viewer’s mind. “Emergence” describes a special phenomenon by which something entirely new arises from interactions and relationships between all the constituent parts of different things or ideas. An emergent phenomenon is more than the sum of its parts. It has unique properties that do not exist in any of the elements whose coming-together or convergence gave rise to it. An example of emergence is the image seen in a woven European tapestry; the colored threads that make up the image do not, themselves, contain the picture or any part of the picture within them. The image of a hunt or a procession only emerges when all the component threads are gathered together in a particular relationship with one another and also with the human viewing the pattern. The rug on our masthead at the top of this web page is a Diné (Navajo) example of the same phenomenon. The two black rectangles represent two of the sacred holy mountains that delineate the Diné homeland. In this case, “reading the image” doesn’t depend only on eyesight for comprehension; more than mere threads must converge for the full image to emerge. Emergence always takes place in conjunction with, and as a consequence of, relationships between many dissimilar things. In science, spontaneous emergence of order is seen as arising from conditions of sufficient complexity that permit new and dynamic relationships. When we say diversity produces power in community learning environments, and that understanding flows from many sources, we are talking about tenets for group learning in relationships that foster the emergence of a new concepts and levels of understanding.